We were given three Case Files for our guest designer stint over at CSI this month and I managed to complete two of them. Today I am going to share Case File #180 which went up just last week. 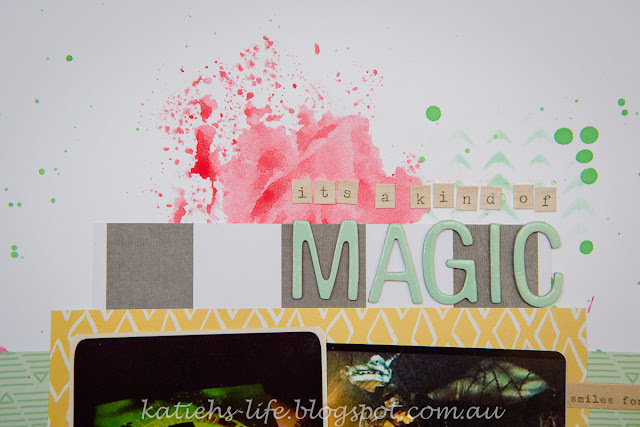 Here is the page that I created. One of my favourites too! I just loved the colours in the this one. So, I managed to include: Leaves, Doilies, Scallop border, Book Page, Polka Dots and Watercolour. 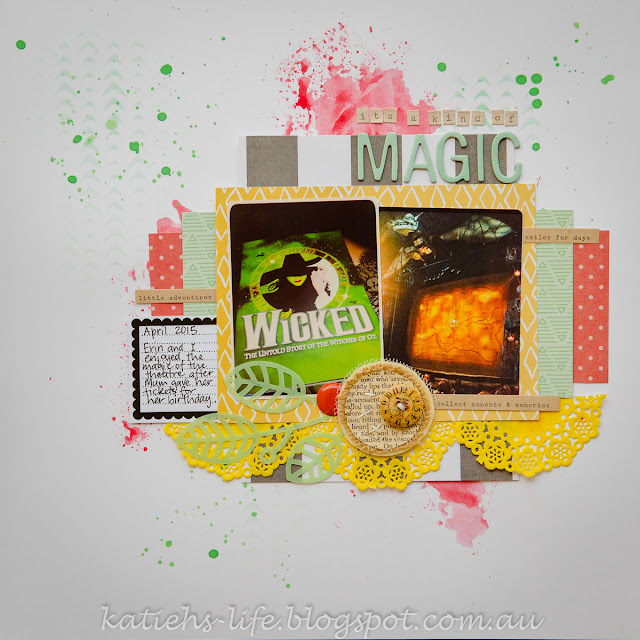 This Charms Creation circle in book page made that an easy option! 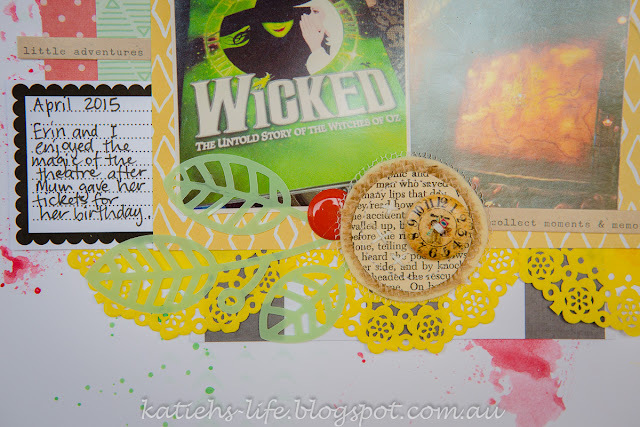 And I got the theme of my page and title from the Carry on Tuesday blog. I thought attending the muscial "Wicked" was a kind of magic!